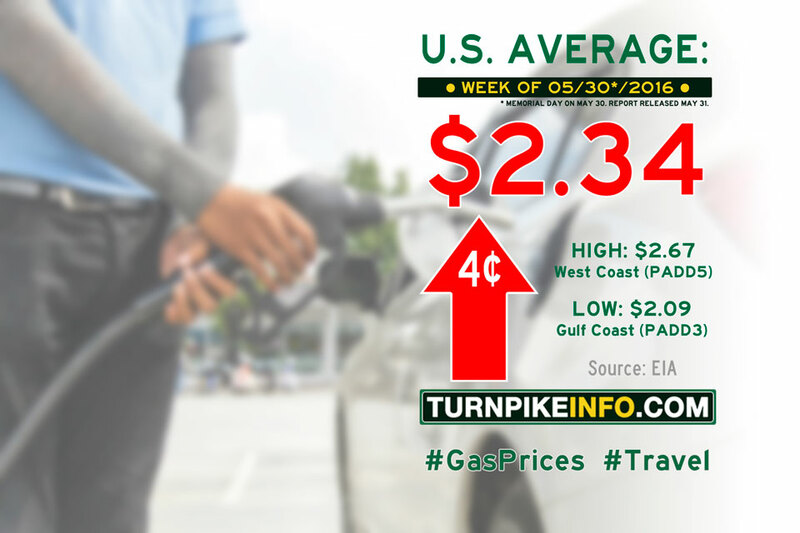 Fort Lauderdale, FL – The price of gas moved about four cents higher during the past week; that is latest information in the weekly pricing survey from the U.S. Energy Information Administration. This week’s price hike means that prices, overall, have gone up a ten cents in the past two weeks. Gas prices went up the most in the lower-Atlantic states and the midwest, which typically has volatile retail pricing. Meanwhile, the price of diesel went up across all regions, according to the E.I.A., while the national average went up about three cents to $2.38 per gallon. According to the E.I.A. report, the biggest price increases happened across the mid-Atlantic region, which was hit by Tropical Depression Bonnie, and across California.